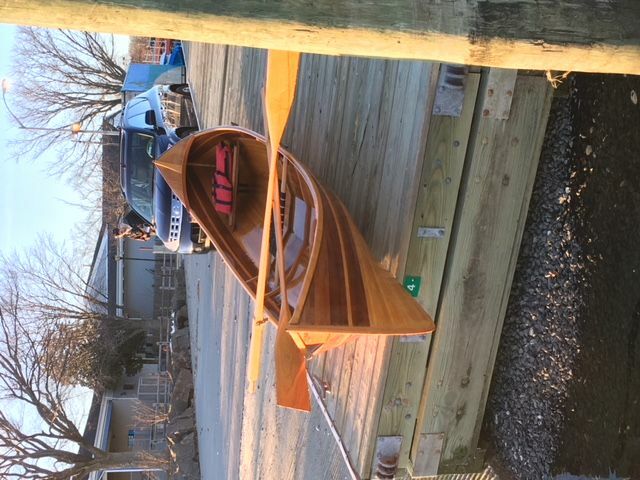 Cedar strip construction guide boat built by Newfound Woodworks in Bristol New Hampshire. She's a real beauty! They call these boats floating furniture and from the pics you can see why. 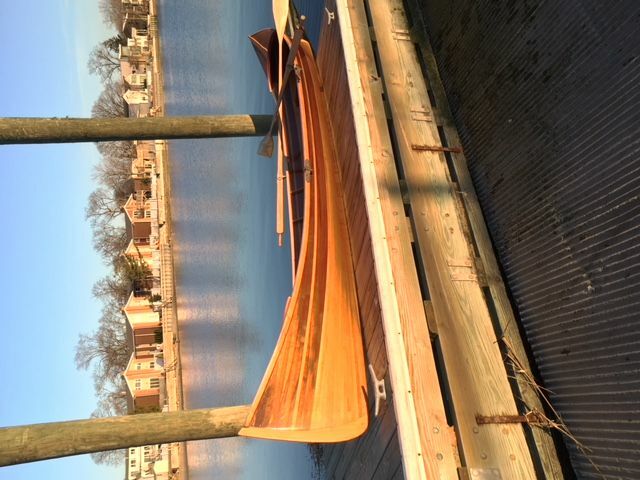 The Adirondack guide boat is the fastest fixed seat rowing boat created and boy does she fly. If you have any questions please don't hesitate to contact me! I bought her because of her speed and beauty but don't think I'll have the time to use her as much as planned. She's the perfect boat to be romantic, sporty and adventurous while being unique on the water. Some folks even use them as decorations in their ceilings. 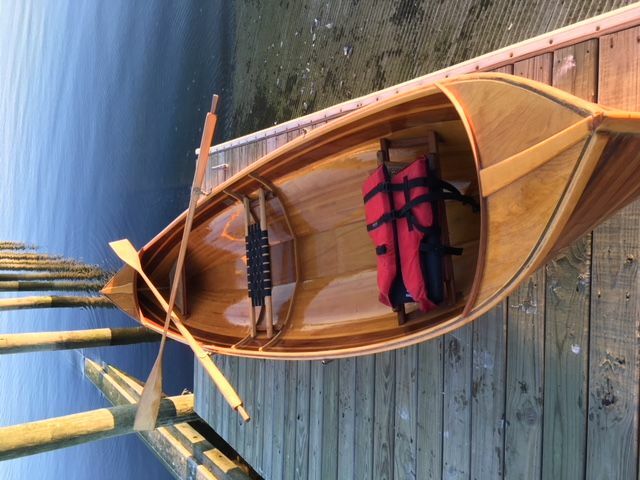 "Adirondack Guideboats were developed by several different builders in the Adirondack region of upper New York state during the late 1800's when the area was a popular summer retreat for affluent residents of New York and Philadelphia. The vacationers would hire a guide to take them out fishing and hunting. 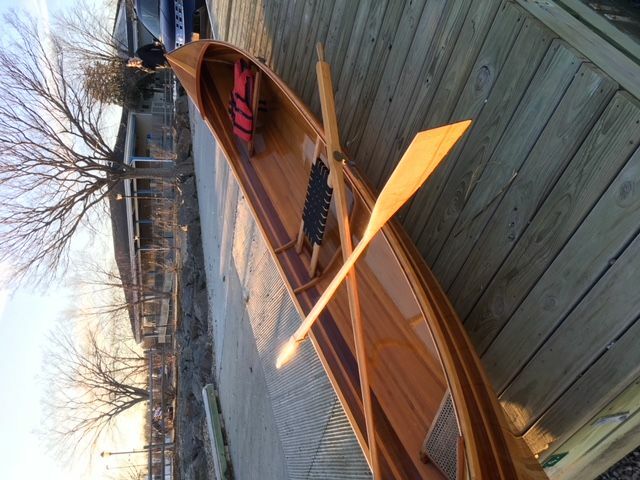 The guide needed a fast, lightweight boat that would transport him and his customer quickly across lakes and could be easily carried over land so they could get to the prime fishing spots and back in time for a fine dinner at the hotel. 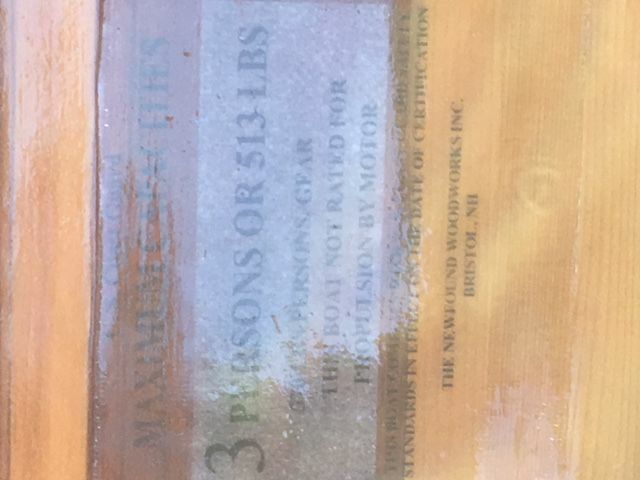 These Guideboats were built on spruce ribs cut from the natural crooks of spruce roots. Strip-built construction is a logical modern alternative choice to the planked and ribbed original construction. "No doubt Dwight Grant would have grabbed at epoxy and other modern materials to cut weight," says Kenneth Durant, author of The Adirondack Guideboat. 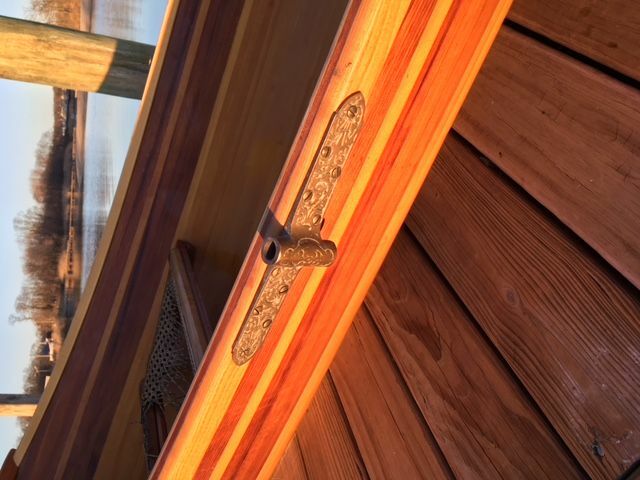 Strip-building is an excellent way to easily build a light, strong and beautiful Guideboat. The guide-boat was a fast, light, oared boat pointed at both ends - a cross between a rowboat and a canoe. It was big enough for the guide and his customers but light enough for the guide to take on his own over the many 'carries' between lakes," wrote Kenneth and Helen Durant, authors of /The Adirondack Guide-Boat./ Our Guideboat design is derived from the Cole's Guideboat, 16'2" long with a 38" beam."